I was very sad to hear the news that fantasy author Robert Holdstock passed away this morning from complications relating to an E. coli infection. He was only 61 years old. Robert was best-known for the Mythago Wood cycle of novels, starting with Mythago Wood and Lavondyss, as well as a number of stand-alones and the recent Merlin Codex series. His most recent novel, Avilion, was a continuation of the Mythago Wood cycle and he was in the early stages of planning and writing a sequel. I met Robert on several occasions, most recently at this year's Gemmell Awards and this year's Gollancz party, just two months ago, when we talked about The Dark Wheel, the novella he wrote that accompanied the original BBC Micro release of Elite in 1984 and was almost certainly the first work of science fiction I ever read. Robert's last public appearance was at an event celebrating the classic computer game (now in its 25th year) and he read an extract from the novella accompanied by a choir from the Nottingham Trent University playing 'The Blue Danube' (the theme tune for the game). Robert Holdstock was an awesomely talented author, one of our most important modern writers of fantasy and a tremendously decent guy. He will be missed a lot. Condolences to his family. The world of fantasy fiction is definitely a poorer place today. Comments and tributes from SFFWorld, Michael Moorcock, Ansible, Locus, Kate Elliott, SF Signal, OF Blog, John Jarrold, Speculative Horizons, Graeme's Fantasy Book Review, Nextread, Neil Gaiman, Darren Nash at Orbit, the British Fantasy Society, Ian McDonald, M. John Harrison, Paul J. McAuley, Mark C. Newton and Alastair Reynolds. More responses on his blog. 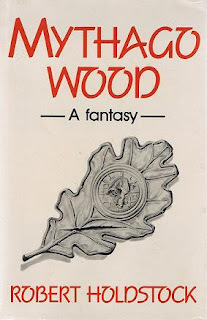 This is so sad.. Mythago Wood remians for me at least one of the most influential fantasy books ever written. 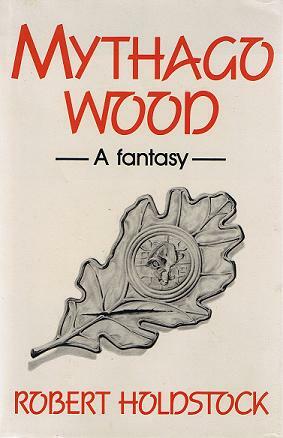 One of my heroes, in that he wrote fantasy for grown-ups, and always embedded it in the real, dank, darkness of the wood. Plus he was just a great guy. On first getting published, I sleepwalked up to him at a convention like a rabbit in headlights, and he could not have been more down to earth or pleasant. A superb writer, and a real class act as a human being - those don't go together too often.